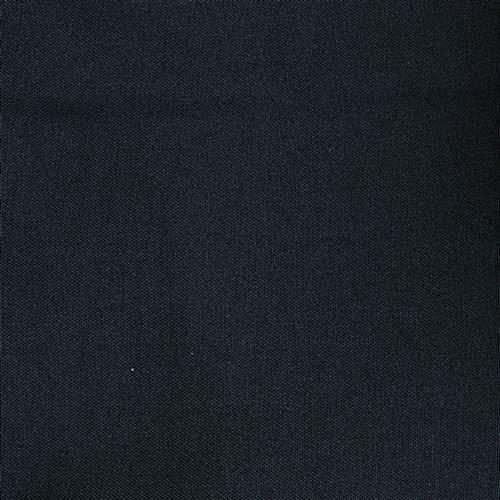 Black polyester fabric looks sleek & elegant. 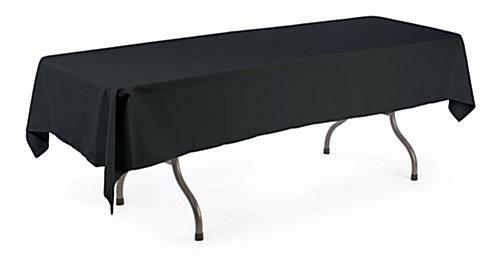 Simple table cloth design will fit any 6-foot table. 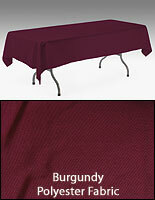 8-foot tablecloths won't leave excess fabric draping around the edges of a table. Linen table covers are a simple presentational tool to truly add a refined and completed look to any display. These tablecloths, linen table covers are meant for use with table skirts, to cover the top portion of a display table. Linen table covers, also known as table skirting accessories, are made from the same 100% polyester materials as our table skirts. 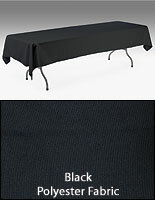 We sell these linen table covers in a sleek, Black shade to help create an enticing presentation. 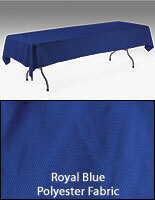 These linen table covers are 8 feet long, making them perfect for covering a 6-foot-long table. The table skirting accessories, linen table covers are only 54" wide, eliminating the amount of excess fabric hanging below a table. 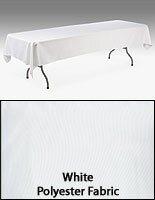 This is ideal when using table skirts to cover only three sides of a display platform. The linen table covers' additional fabric will not get in the way of you accessing your hidden supplies. Linen table covers, such as tablecloths, make a great addition to a reception hall or banquet room as they help you create a more sophisticated and "put-together" display. When used in groups, these linen table covers and table skirts will produce a completely unified presentation, perfect for use during a reception. Thanks for the great review, Dan! We're glad this table cloth was just what you needed. I ordered 75 of these for my staff to use at marketing events. I ordered a spec table cloth from three different vendors, but settled on this one from Displays2Go because of the quality for the price. The material was just a bit thicker and the hems were a little wider and seemed to be sewn a little better than the other table cloths I tried. I've not tried washing them yet, so time will tell, but for now I'm very pleased with my purchase. Really very nice table covers for the price. Arrived very timely. Our tables are happy (and so is the boss)! Thank you for the review, Robyn. Feel free to like us on Facebook for additional discounts & deals if you plan on ordering from us again!